There’s a man walking around in bare feet in Belgium’s entry. FML*2. We barely got rid of all those women without shoes and now the men picked up on the trend? We do not approve. And let’s get that floor in B&W Hallerne sanitized sooner rather than later. Maybe Axel’s mother can help? Mothers seems to be a focus point this year, and Latvia really wants their mother to teach them how to bake while keeping their entire focus on the birds and the bees and the flowers and the trees. Interesting choice. We’ll ask Freud to do a session with both them and Axel. The Netherlands made it in time from Nashville and are looking fab. Not sure why they brought Adam and Eve along though. Maybe those were the only graphics left? There is something seriously scary in the garden of Moldova, by the way. We think it belongs to Loreen. Malta is doing an Ellen De Generes making selfies a part of their act. Difference is they are actually real selfies and there’s no product placement from Samsung in sight. Well done! Dearly beloved Carl Espen has a wind machine. We repeat: Carl Espen has a wind machine. And it is not even silent. Iceland thinks life is too short for short-sightedness. After watching their energetic performance we still want to see these guys up close, though. The award for best effort in turning tons of LED screens, an entire LED floor and thousands of lights into nothing more than a cheap nightclub goes to Estonia. Congrats. Russia are so happy they managed to procure Crimea, they decided to bring it onstage with them. That was the day music died. Why not give up politics instead? Azerbaijan is doing their traditional folk dance, where women are raised so far up in the sky you cannot see their head. Makes sense on tv. Ukraine is stating the obvious: All women are born free and all men are hamsters. Portugal never supported the flag restrictions fans are being provided with and decided to bring their protest onstage. Who’s laughing now, broadcasters? Armenia is all alone. Guess homophobia will do that to you. We are loving Poland’s whole theme. If you are to be sexist, at least make sure it is also traditionally slavic. Hungary promises us he will be running onstage. Just in case you didn’t get the message the first time. Montenegro was not sure whether this was Eurovision or the Olympics, so they brought a figure skater. Apparently Albania, San Marino and Sweden also showed up. Well done. I’m following your blog in detail dear Norwegian girls ;-). It’s deliciously funny. 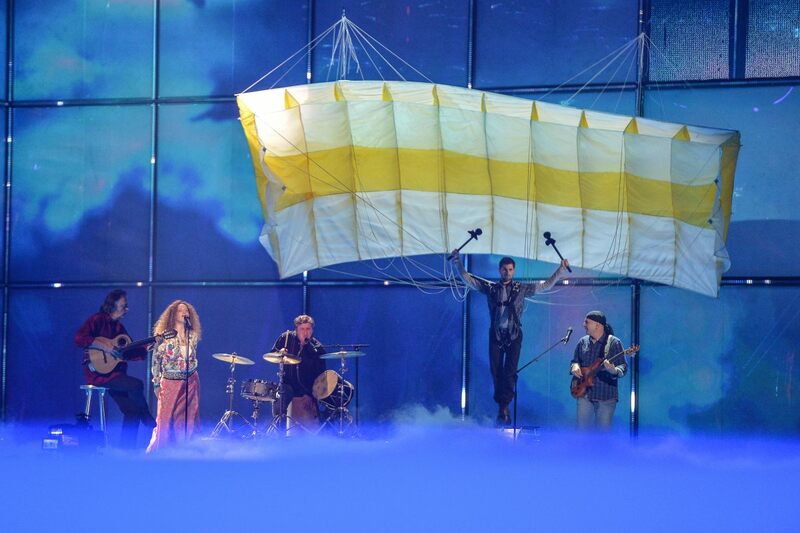 Could you also make a deliciously funny….TOP 10 ranking of the 1st semi final after the first rehearsals ;-)? Be crazy…..will you put San Marino on top? Thank you, honey! We’ll do a ranking in time by Tuesday, anyway!